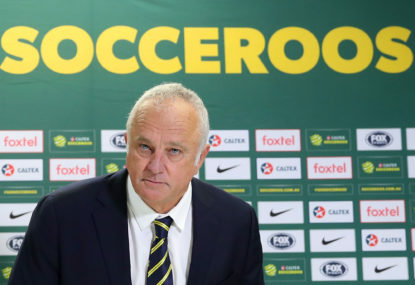 Graham Arnold’s 2019 Asian Cup squad was released earlier today, and the overwhelming sense it gave was one of brisk, unified hope. Arnold hopes his team will score as a group, sharing around the goals between a clutch of attackers. He hopes Aaron Mooy – injured at the moment, but picked nevertheless – will be fit for camp. He hopes to rotate the team liberally, and that each player will be fresh should they be needed. He hopes – well, expects, as he repeatedly put it – to win every game. Hopeful positivity is always a good air to carry into a tournament, as long as it’s not used to paper over glaring issues in the squad. Really, though, there is a lot to be hopeful about. Firstly, to Mooy. For all of his limitations as a playmaker and ability to set a quick tempo, Mooy is still one of our best No.6s, whose absence would only harm our chances. The knee injury he picked up playing for Huddersfield was at first deemed serious enough to rule him out of the tournament, but Mooy’s desperation to help defend this Asian Cup was such that further investigation has been made. “He’s asked for a second opinion, he’s asked for our medical staff to go over and have a look at him … the kid wants to go to the Asian Cup,” Arnold said. So, when will the verdict on his health be returned? “It’s probably a matter of days; we don’t need to be dwelling on this, and be a player short going into camp,” Arnold said. It was touted by many that, if Mooy was to be ruled out, Terry Antonis – enjoying a sparkling run of form this season – might be brought in to add to the midfield ranks. He has, however, not been included. “Terry’s doing exceptionally well at Melbourne Victory,” Arnold said. “It’s no secret the Victory are doing very well, but I can only look at what we have; the pool is getting deeper and the kids are coming through … I expect to have sleepless nights, a difficult job in selecting those players,” Arnold added. So, although he wasn’t named on Thursday, there is a chance Antonis is being left in the pool of standby players. “We’ve got 12 standby players, but I don’t want to announce the standby players because that seems to become the headline more than the 23 that were selected,” Arnold said. Tomi Juric has been dropped, after a protracted period of under-performance for the national team. He has also played just six games for his club FC Luzern this season. Well, as far as the attacking stocks go, Jamie Maclaren is the only recognised out-and-out striker picked. Andrew Nabbout is also there, and of course was the starting striker at the World Cup, but he sort of settles more into that group of talented-but-formless coagulation of slightly vague attackers alongside Matthew Leckie, Robbie Kruse, Awer Mabil, Martin Boyle, and Perth’s Chris Ikonomidis, rewarded for his fine form in the A-League this season. Arnold sees the lack of distinct roles among these players more as a strength than a weakness; versatility. “If you look across that front line, all of them can play 7,11,9,10, so we will be flexible across the front half of the field,” Arnold said. When we won the Asian Cup under Ange Postecoglou, the team successfully shared the goal burden, with ten different Australian goalscorers in that tournament. If we are to believe Arnold’s assertion that the same can happen again, it’s not entirely without justification; the system he has developed, and deployed against Lebanon and South Korea in the two recent friendlies, can flash out moments of potency and rhythm. The fact Arnold arranges for at least three – and against Korea, Tom Rogic’s advanced positioning almost made it four – players to fill what would normally be the zone held by a striker, means that interplay, enthusiasm and the willingness to commit is boosted by the feeling that the attackers are all working in close concert, bouncing ideas off each other, unbridled by normal positional strictures. “Three No.9s with a lot of energy, a lot of speed, a lot of individual quality… in the three games I’ve been in charge we’ve scored eight goals, okay, against different opposition, but I’ve had six different goalscorers… it’s an exciting attacking team; they have their job to do structurally, but flexibility is the key,” Arnold said of his attack. Tom Rogic, another player a little hampered by recent injuries, is a cert to make the tournament, Arnold assured. “The Wizard of Oz will be there,” he said without hesitation. Ikonomidis, Rhyan Grant and Josh Risdon mean that the squad has at least a small portion of current A-League players. Mustafa Amini, Alex Gersbach and Mabil’s inclusion also show the less prominent European leagues are not being overlooked either. Boyle’s selection is another exciting factor. But the players whose starting roles are not locked-down – and, really, only Mat Ryan, Trent Sainsbury and Aziz Behich could be considered completely undroppable – should not fret about a lack of involvement, according to the manager. “We play a game every four-and-a-half days, and rotation will be very important,” Arnold said. “Yes, players are great athletes these days, they can recover very quickly from games, but freshness and using the whole squad will be key to playing seven games in those 30 days. “I believe we’ve got great depth in the squad … I have the utmost belief in every player and trust that when I put them across that white line, I expect them to perform to a high standard and a high level,” Arnold said. It’s only been six months since the World Cup, and yet Arnold has successfully turned the national team soils, churning up new loamy clods and planting new seeds. Daniel Arzani’s absence, which could easily have been a dark cloud hanging over this announcement, went completely unmentioned, such is the sense of rousing anticipation. 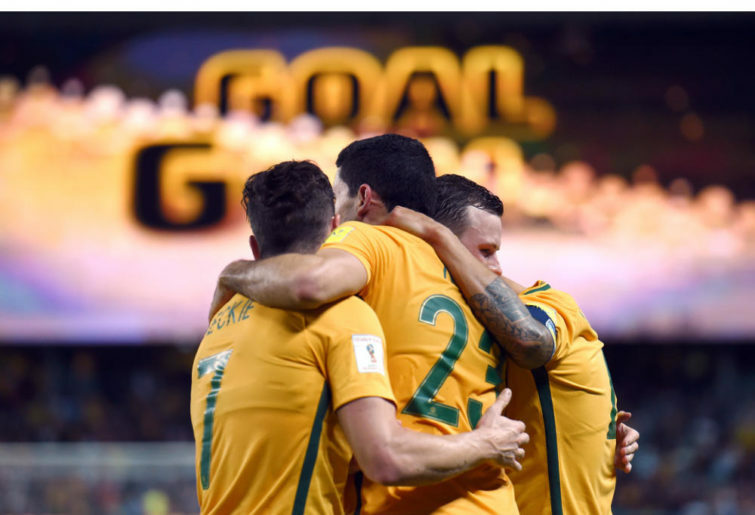 The new year will see a fresh Socceroos manager take his fresh team into a fight we’ve won before, and he’s leading them in with a spirited step.